The run-up to the anniversary also saw what could have been an attempted terrorist attack in another Western country. On Sept. 10 in Denmark, a potential bombing was averted by the apparent accidental detonation of an improvised explosive device in a bathroom at a Copenhagen hotel. The Danish authorities have not released many details of the incident, but it appears that the suspect may have been intending to target the Danish Jyllands-Posten newspaper, which has been targeted in the past because it published cartoons featuring the Prophet Mohammed in 2005. Groups such as al Qaeda in the Arabian Peninsula (AQAP) have tried hard to ensure that the anger over the cartoon issue does not die down, and it apparently has not. It is important to note that even if the perpetrator had not botched it, the plot — at least as we understand it so far — appears to have involved a simple attack plan and would not have resulted in a spectacular act of terrorism. When it comes to anniversaries, al Qaeda has not always seized upon them as opportunities for attacks, but it has long seen them as tempting propaganda opportunities. This first began in September 2002, when the group released numerous messages in a multitude of forms to coincide with the first anniversary of 9/11. These included a one-hour video titled “The Nineteen Martyrs,” referring to the 9/11 attackers; a book released by al-Ansar media telling the story of the 9/11 attacks; an audio tape from al Qaeda second-in-command Ayman al-Zawahiri; a statement from al Qaeda’s “Political Bureau”; and a statement from al Qaeda spokesman Sulaiman Abu Ghaith. Then, on Oct. 7, 2002, al Qaeda released a message from Osama bin Laden to the American people to commemorate the first anniversary of the U.S. invasion of Afghanistan. A September 2003 video of bin Laden and al-Zawahiri walking in the mountains and praising the 9/11 attackers, released via the Qatar-based Al Jazeera television network. As-Sahab, al Qaeda’s media wing, also released a video that contained Saeed al-Ghamdi’s martyrdom tape. A September 2004 audio message from al-Zawahiri released on the same day as a bombing attack against the Australian Embassy in Jakarta, Indonesia. A September 2005 video message in which Adam Gadahn, the American-born al Qaeda spokesman, came to the world’s attention threatening attacks against Los Angeles and Melbourne. Al-Zawahiri had released a video message on Sept. 1 that contained the martyrdom video of July 7 London bomb-plot leader Mohammad Sidique Khan. A September 2006 video message in which Gadahn reappeared to commemorate the fifth anniversary of 9/11, this time in tandem with al-Zawahiri. As-Sahab then issued, on Sept. 7, a video message titled “Knowledge is for Acting Upon: The Manhattan Raid,” and on Sept. 11 an interview and question-and-answer session with al-Zawahiri. As-Sahab also released some undated and previously unreleased video footage of bin Laden and other high-ranking al Qaeda members planning the 9/11 attacks. A September 2007 video, released by As-Sahab, showing bin Laden speaking and titled “The Solution.” This was followed by a video released on Sept. 11 that contained an audio statement by bin Laden and the martyrdom message of Abu Musab Waleed al-Shehri, one of the 9/11 operatives. A September 2008 video, released by As-Sahab, showing al-Zawahiri criticizing Iran for helping the Americans in Afghanistan and Iraq. On Sept. 17, As-Sahab released a video titled “Results of 7 Years of the Crusades” and, on Sept. 19, it released another message from al-Zawahiri. This history shows a steady decline in al Qaeda’s anniversary messaging in terms of quantity and production quality (clearly seen in comparing the al-Zawahiri audio message of 2010 with the al-Zawahiri video message of 2006). Another consideration is topical relevance. Al-Zawahiri’s 2010 message was actually rather bland, uninspiring and little more than a rehash of several points the group has made in the past. There were no stirring and inspirational calls to action, no new threats to the West, and no real meaningful discussion of the 9/11 anniversary beyond the message title. While the recent 9/11 anniversary highlighted a declining trend in al Qaeda’s messaging, it has actually been going on since long before Sept. 11, 2010. It has been more than a year since a video appeared featuring a key al Qaeda leader (the last one, of al-Zawahiri, was released in August 2009). Currently, there are very few people, all in the al Qaeda core leadership and their As-Sahab media wing, who know the true reason why the group has suffered such a decline in its propaganda efforts. There could be a number of possible explanations for the lapse. The first could be that the group is observing a period of radio silence in expectation of a large attack. This is certainly possible, and something we have heard analysts propose during al Qaeda quiet times. However, an examination of past patterns of al Qaeda communiques and attacks since 9/11 has not shown any type of correlation between times of silence and attacks. This is to be expected when most of the actors conducting attacks are either affiliated with the regional franchise groups or are grassroots operatives with no link to the al Qaeda core leadership. In fact, we have seen media releases by As-Sahab shortly before past attacks such as the March 2004 Madrid bombings and the July 2005 London attacks. 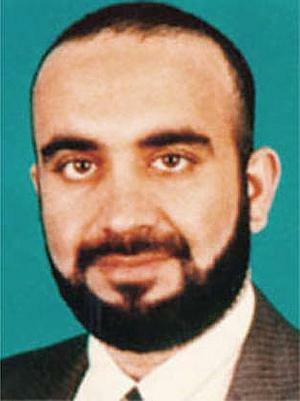 As-Sahab was in the midst of a media blitz in the months leading up to the thwarted August 2006 Heathrow liquid-bomb plot, and it also released several statements in the weeks prior to the November 2008 Mumbai attacks. In the past, hackers have used the occasion of the 9/11 anniversary to disrupt jihadist websites in an attempt to cripple al Qaeda’s ability to distribute its 9/11 anniversary statements. We saw this particularly in September 2008, in a hacking that resulted in some of the messages being delayed until Sept. 17 and Sept. 19. This year, however, there is no sign of that type of broad-based hacking campaign, and while some jihadist websites are down for a variety of reasons, many other jihadist websites continue to operate unabated, offering recent Ramadan and Eid ul-Fitr sermons and salutations. It is also possible that the floods that have ravaged Pakistan this summer could have displaced the al Qaeda leadership or the As-Sahab crew. However, the floods began with the heavy monsoon rains in late July and the dearth of messages from the al Qaeda core leadership reaches back much further, with 2010 being an unusually quiet time for the group. Past anniversary messages have been produced weeks, and even months, before their release dates, so the As-Sahab multimedia crew should have had time to adjust to the flood conditions if that was truly the cause. The best explanation for the decline in As-Sahab’s propaganda efforts may be the increase in the number of strikes by U.S. unmanned aerial vehicles (UAVs) inside Pakistan in areas along the Afghan border since August 2008. More than 1,000 people have been killed in such strikes, including a number senior al Qaeda members. A confluence of factors could be responsible for the decline, with floods and hackers posing additional problems for an organization on the run from U.S. airstrikes and trying to maintain a low profile. Even if the core al Qaeda leadership is living deeper in Pakistan and away from the threat of U.S. airstrikes, many lower-level al Qaeda members are operating in the border area and have certainly been impacted by the strikes. It is important to view the decline in As-Sahab propaganda efforts in the larger context, specifically statements involving the core al Qaeda leadership, and then compare those statements to the messages released by the franchise groups, such as AQAP. Over the past few years, STRATFOR has often discussed how the war against the jihadists is occurring on two planes, the physical battlefield and the ideological battlefield. We have also discussed how we believe that the al Qaeda core leadership has lost its place in recent years at the forefront of the physical battlefield and has instead focused its efforts largely on the ideological battlefield, where its role is to promote jihadism and inspire jihadist groups and individuals to conduct attacks. And it appears that the leadership provided by the franchise groups may not be confined to just the physical battlefield. As the core al Qaeda leadership continues to maintain a low profile, the leaders of groups like AQAP and figures such as Anwar al-Awlaki and Nasir al-Wahayshi have dramatically increased their profile and significance on the ideological battlefield. They have been the individuals leading the way in calling for grassroots jihadists to conduct simple attacks and in fanning the flames over issues such as the Mohammed cartoons. Even the al Qaeda core tried to jump on the AQAP bandwagon when spokesman Adam Gadahn echoed al-Wahayshi’s call for simple grassroots attacks and praised AQAP-inspired Fort Hood shooter Nidal Hasan as an example for all Muslims to follow. Indeed, it was interesting to watch the core al Qaeda group following the lead of a regional franchise rather than paving the way themselves. Now, perhaps in a few days or a few weeks, As-Sahab will return to releasing a flurry of slick, high-quality messages as it has done in years past. Maybe fresh videos of bin Laden and al-Zawahiri will appear that will present new ideas, vault them back into prominence in jihadist discourse and motivate their intended audience to action. But we may be witnessing, instead, the eclipse of the al Qaeda core leadership on the ideological battlefield. 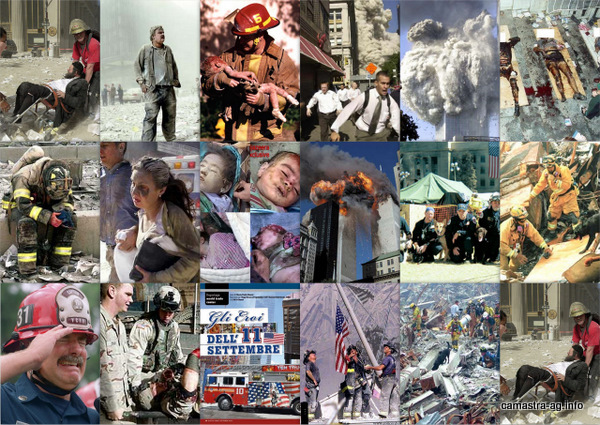 The 9/11 Anniversary and What Didn’t Happen is republished with permission of STRATFOR. Zawahiri ha invitato a boicottare i Paesi in cui sono avvenute le offese sacrileghe, la Danimarca in primis, ma anche Norvegia, Francia e Germania. E si è appellato ai militanti islamici in tutto il mondo affinché compiano attacchi sul modello di quelli negli Stati Uniti, a Madrid e a Londra. 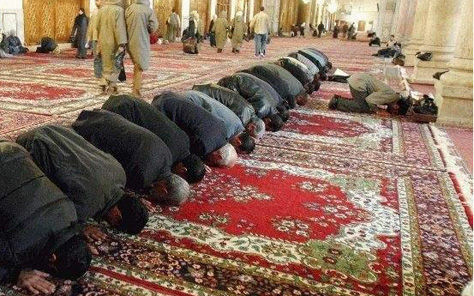 Il medico ha inoltre esortato il mondo islamico ad evitare che gli occidentali continuino a «rubare» il petrolio dei musulmani. Poi un'esortazione ai leader di Hamas, vincitori delle ultime elezioni politiche in Palestina: «continuare la lotta armata» e non accettare di partecipare alle trattative per un piano di pace con Israele. «Aver raggiunto il potere non è di per sè un traguardo… e nessun palestinese ha il diritto di cedere un solo granello di terra», afferma Zawahri, aqgiungendo che «i laici dell'Autorità palestinese hanno venduto la Palestina in cambio di qualche briciola». Le armi di distruzione di massa di Saddam? A Bin Laden, ad Al-Zarquawi, alla cricca estremista che insozza il nome di Allah con i propri laidi proclami: vi faccio vedere come muore un italiano. Ai terroristi di tutto il mondo, di qualunque parte politica, fogna umana da sterminare come un branco di ratti: vi faccio vedere come muore un italiano. A Prodi, Fassino, Bertinotti, Cossutta, Pecoraro ed agli altri “leader” di sinistra: vi faccio vedere come muore un italiano. Ai noglobal in piazza a bivaccare nulla facendo, pronti a distruggere città ed a prendersela con le forze dell’ordine: vi faccio vedere come muore un italiano. Agli animali che lo hanno definito a suo tempo “noglobal”: vi faccio vedere come muore un italiano.